When Pep Guardiola took over the Manchester City job, he not only took upon the challenge to conquer England but also to provide the Premier League his much-talked about and successful brand of football, which helped his former sides FC Bayern Munich and FC Barcelona rule their respective leagues for years. Sadly for the Spaniard, he has failed miserably to deliver on those promises, so far. Unlike his previous stints in Spain and Germany, England has proven to be a tougher task. The former FC Bayern Munich manager has so far failed to replicate much of his brilliance on the English football fraternity. It is noteworthy that his questionable transfer strategies did not raise eyebrows after an impressive start to the season, but the lack of consistency and ability to kill matches has resulted in Manchester City dropping a lot of points this season. A Lack of discipline and injuries, too, have plagued the Spanish manager’s quest of conquering England. However, it is too soon to write off one of the biggest names in the business but it is indeed worth a look where the Spaniard has got it all wrong. Guardiola has spent a fortune on players who suit his style and philosophy. The likes of John Stones, Nolito, Gabriel Jesus, Leroy Sane, Ilkay Gundogan and Claudio Bravo have cost more than £100 million and yet not lived up to their billing. While Gabriel Jesus was cleared to join the squad in mid-January 2017, Nolito, Bravo, Stones, Gundogan and Sane joined the team in the summer. A few exciting performances were followed by a number of lacklustre performances which eventually led to over-tinkering by the manager and his backroom staff. Special mention should be made for Claudio Bravo, one of the most controversial selections for Pep Guardiola. It is due to Bravo that long-standing Citizen faithful Joe Hart had to move away to Torino to look for game time as the Manchester City manager felt that the English No. 1 didn’t suit his style of play. 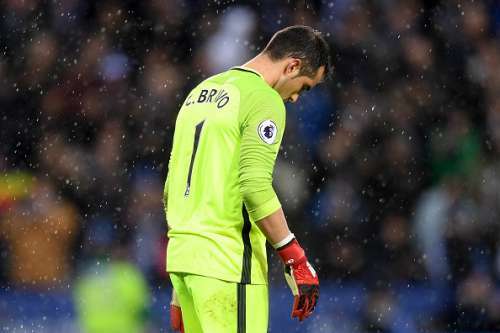 While the first few weeks went well, Bravo’s inability to get the ball out of the danger and then play it upfield has emerged as the weakest link of the Manchester City team. According to the latest stats, he has conceded 16 goals out of the last 24 shots he has faced. A very high percentage and a genuine cause for concern for the manager. Bravo's repeated mistakes and questionable keeping skills, doesn't help the manager’s cause. However, in the absence of any replacement, Bravo remains the No.1 keeper for the Citizens. Let us wind the clock back four and half months. 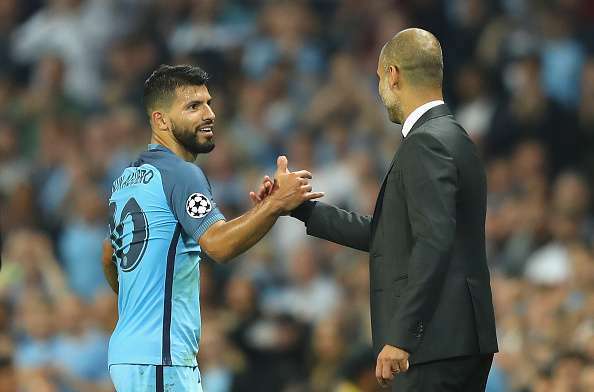 The Premier League was roaring with the arrival of Pep Guardiola as the Manchester City boss. The fact that his side went on a run of 10 wins out of 10 in all competitions seemed a teaser of the ferocity and guile that was to follow. A 2-1 victory in the Manchester Derby at Old Trafford, against Jose Mourinho’s United side, marked the fact that the Citizens’ were out to win it against the bigger sides too. However, since the 2-0 defeat at White Hart Lane against Tottenham Hotspur, all has not been well for the mercurial City boss. It is not just the defeats that has been hurting the Spanish manager. 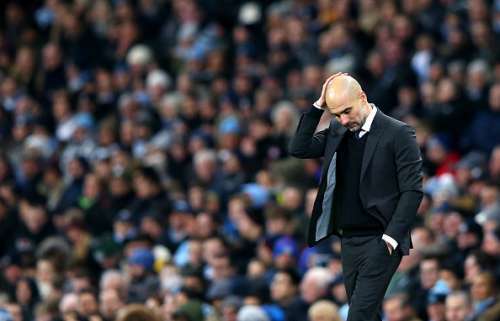 The severe lack of discipline on the pitch is also an aspect that has hurt Manchester City's aspirations this season. 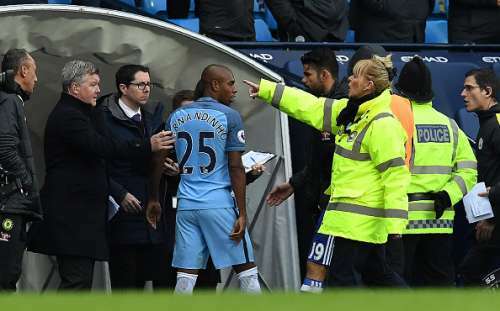 Prolonged bans of Fernandinho and Aguero after the game at the Etihad at the end of November against Chelsea saw City without their mercurial striker for the entire span of December while Fernandinho was again shown a red card on his return to league action. A total of 47 yellow cards and 4 red cards (league highest so far) has been shown to the City players which clearly illustrates the lack of discipline on the pitch for the Citizens. The Citizens' boss took upon him the entire blame for his team's inability to grind out results. His philosophy of "playing out from the back" has drawn constant criticism from football pundits across the country. However, Pep remains adamant and promises that his style of football is going to be the next big thing for English football. The constant change in formation, playing players out of position and an attempt to keep a defensive high line has put the Manchester City players in all sorts of trouble this season. From a traditional 4-2-3-1 to a 3-4-3 or a 3-5-2, or be it playing a right back in Zabaleta at central midfield or a left back in Kolorav at central defence, City has seen their defensive line being altered in nearly every game. A long-term injury to club captain Vincent Kompany has also left them without a natural leader in the team. It should be noted that the prolonged absence due to injury for players like Aguero and Kevin de Bruyne had marked the decline in form for Manchester City. Another star player for City, Yaya Toure’s contract negotiations and his playtime was not handled in a proper way by Guardiola at the start of the season. He was kept out of the side at the start of the season and wasn't even included in the Champions League squad. It was only in late November, when the team were plagued with injuries and suspensions, that Guardiola called upon the Old Beast of Manchester and yes, he was spectacular on his return. A brace in a 2-1 victory at Selhurst Park against a struggling Crystal Palace spoke highly of the dedication and professionalism of Yaya Toure. 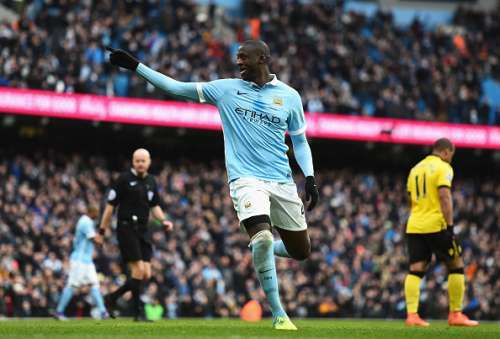 Post that performance, Toure hardly goes amiss from the match day squad. An ageing squad and players out of contract at the end of the season is also a very critical situation Guardiola needs to address. Senior players like Gael Clichy, Bacary Sagna, Yaya Toure, Jesus Navas, Pablo Zabaleta and Willy Caballero are all out of contract at end of 2016-17 season. These are first-team regulars for Guardiola and if they are not going to be a part of the squad in future, the manager needs to rethink and reinvest resources for the upcoming seasons. The two-time UEFA Champions League winner, Guardiola has not been able to work out the intricate details of the Premier League, so far, and that has been evident with his team's performances in the past few months. Not only did he succumb to a career-worst 4-0 defeat against Everton at Goodison Park a few weeks ago, his team also dropped points against Tottenham at Etihad in a 2-2 draw after being 2-0 ahead the following week. The Citizens slipped out of the top 4 and have potentially conceded the title to rivals Chelsea, who lead them by 10 points. A 4-0 away win at West Ham United, however, gives them the much-needed boost as they face Swansea City next in the Premier League. City were eliminated in the EFL Cup by eventual finalists Manchester United in the 4th round, while a 3-0 victory against Crystal Palace at Selhurst Park in the FA Cup secured a 5th round tie against Huddersfield Town. They now face Bournemouth and Manchester United in the league next along with last 16 ties in Europe against Monaco, all in the month of February. Pep Guardiola has over the years played players out of position. Javier Mascherano, Philipp Lahm, Thomas Muller are success stories of Pep's immense faith to make players perform at a level that they did not expect of themselves. His inspirational leadership and “pleasing to the eye” game plan has worked wonders for him in Spain and Germany. However the ploy in England has not worked, so far. Two Champions League trophies, three UEFA Super Cups, two Bundesliga Titles, and three La Liga Titles are enough to show his brilliance as a man-manager. We can only hope that the Spaniard can work on his side and come up with different styles of play to counter the opposition and redeem himself as the best manager in the current generation while he still has three titles to aim for this season.